Mike Lockwood | Watts Up With That? December 21, 2012 in Cosmic rays, IPCC AR5 leak, Science, Solar. 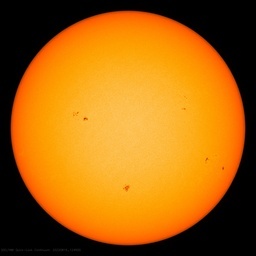 July 5, 2011 in Solar, Weather. May 16, 2011 in Uncategorized. April 7, 2011 in Uncategorized. March 22, 2011 in Solar. Do solar scientists STILL think that recent warming is too large to explain by solar activity? January 2, 2011 in Solar.